“Best Museum in Collier County” – Finalist for 2nd Year in a Row! Great News! 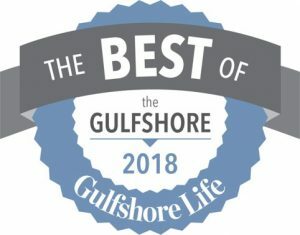 Gulfshore Life readers voted the Museum as a Finalist for the second year in a row in “Best Museum – Collier County” in their 2018 “Best of the Gulfshore” Readers’ Choice Annual Awards. Category winners will be announced in their May 2018 issue. In 2017, the Museum was honored to have been selected as the Category Winner for “Best Museum – Collier County” in their poll. A big “thank you” to them for again recognizing the Museum and its commitment to our SWFL community! Thanks to all who have participated in our Education programs, attended our exhibits and events, volunteered and supported our mission. With your help, we have impacted over 175,000 SWFL students since 2001, grades K-12 and college/university, and hosted thousands of visitors from all over the U.S. and more than 40 countries. Your support enables us to continue our Education Outreach and inspiring others to take action against bigotry, hatred and violence. If you haven’t been in for a visit recently, we invite you to come in and see our latest exhibit or attend an event! Once again, thank you, and we hope you’ll visit soon! ← Triumph 2018 ~ A Great Success!